The original idea was to use a found hole; a mineshaft, a well, a natural fissure, an old bunker . . .
Having been long-listed for the prize, I had to submit a more detailed proposal including a prospective site. 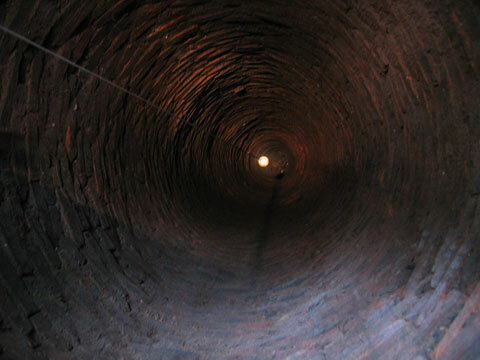 This was to be a disused well, 80 feet deep, in a wood in Staffordshire, owned by the National Trust. In August 2005 I set out on a journey around the north of England, travelling through the moors of Yorkshire and Derbyshire, looking for suitable caverns and/or sink holes. I finished my journey at the well in Staffordshire. Tibetan singing bowl suspended in the well. I was surprised by the acoustics. I’d imagined a resonant space but the bricks lining the walls absorbed sound like a sponge. Leaning into the opening and shouting, my voice was muffled and gone in an instant. Later in the year I visited old lead mines in Northumberland and found that their 250 foot deep airshafts had the same lack of resonance. This lead me to start thinking that a natural cavern might be better. Or to construct an acoustic chamber from scratch. 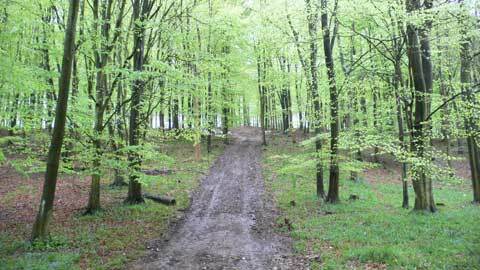 I was invited to visit a forest in Kent, Kings Wood, by Sandra Drew, the director of an arts organisation working in the forest, Stour Valley Arts. By this time I’d drawn up a list of criteria for an “ideal” site which included a source of running water, a stream or a spring. Originally I’d thought that rain would be the sole source of water but I’d since decided that it was necessary to have something more reliable. Rain seemed to have become a rarity. 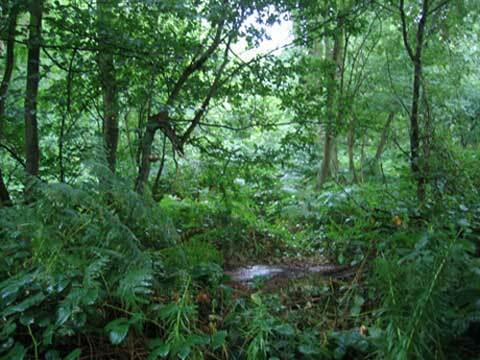 From what I could gather about Kings Wood I wasn’t particularly optimistic about it being a suitable location. Sitting on top of a chalk hill there are no holes in the ground and no streams, but I discovered an unexpected strategy for gathering water. In the forest are several dew ponds. A depression is dug out of the chalk and lined with clay, which then fills with rain and dew. No need for running water, just a simple bowl to catch precipitation. The forest felt like the ideal site. I’d imagined the horn standing among trees, and here there were rolling hills of beech, standing in a beautiful soundscape; insects, birds and breeze, leaves and boughs, the only intrusion an occasional plane. 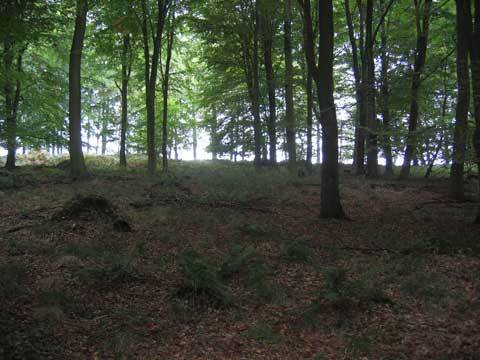 Looking downhill from the site in winter. Looking uphill towards the site in early may. The absence of any holes in the ground meant that one would have to be dug out of the chalk. By this point in time I’d began to feel that this would be the best option. It meant that I could create an acoustic chamber with the properties I wanted and was faithful to the initial inspiration of the suikinkutsu. 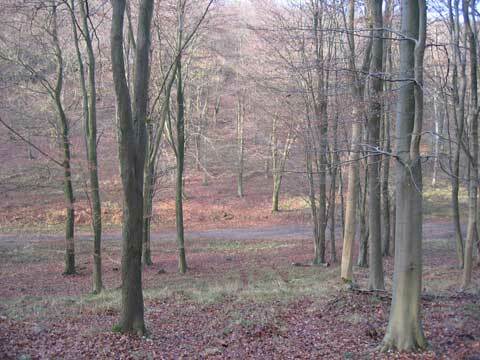 Kings Wood is near the village of Challock in Kent, halfway between Faversham and Ashford.